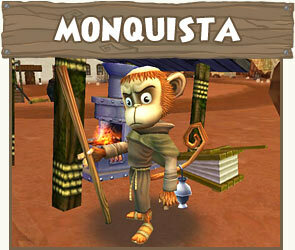 Monquista is a growing power. Their fleet is still relatively small, but the steady flow of gold and timber from Skull Island keeps the Monquistan Navy growing steadily. Monquistan ships rarely range far from home: Monquista and Skull Island are the only realms where they are likely to be met in numbers. The Monquistans got their fill of naval battles in the Polarian Wars, and are leery of overextending themselves - at least for now. Their ships are of high quality, but Monquista lacks the naval tradition of its rivals in Polaris, Valencia, and Marleybone - Monquistan commanders, with a few exceptions, are widely regarded as inexperienced and brash. Monquistan arrogance and bravado leads them to mount fierce, swift attacks with little provocation. Tensions between Monquista and Marleybone are steadily growing - war may be inevitable. Exposure to the sailors of distant lands has changed the Sharks - the brutes have become Shark Pirates, taking on Pirate dress and customs and trading their outriggers for stolen ships. 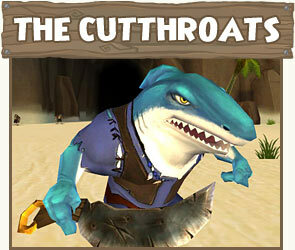 Though they no longer have the numbers to raid other realms, the Cutthroats remain a threat in Skull Island, where Monquista and Marleybone remain unable to completely eradicate them. The Royal Navy of Marleybone is an omnipresent force across the Spiral - the Queen's highest priority is her mercantile empire, which depends on the "wooden ships and iron Dogs" of the Navy for its very survival. Marleybone ships are stout and tough, and the Dogs are masters of tactics and gunnery. 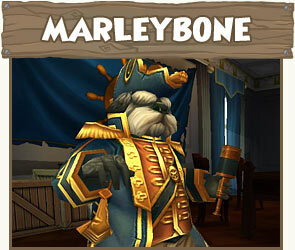 With colonies in Skull Island, Darkmoor, and Krokotopia and trade agreements nearly everywhere else, protecting the flow of ships between colonies and especially through Stormgates is Marleybone's highest priority. Marleybone may not have the biggest fleet in the Spiral, but the Royal Navy is blessed with brilliant officers like Captain Gordon, The Commodore, and Admiral Nelson - their military genius more than makes up for any numerical disadvantage. Marleybone was eager to maintain her alliance with Monquista and Valencia, but both those friendships seem to be quickly unraveling. This band of Crab thugs and raiders has fallen on hard times. 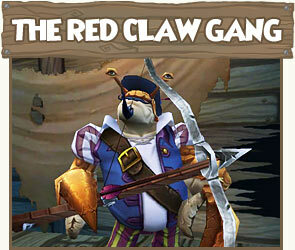 Once feared by navies and merchants from Valencia to MooShu, the Red Claw Gang recently met its match: not long back, their flagship was destroyed after a pitched battle with Captain Gordon, renowned Marleybonian Privateer. Stuck on Skull Island without a ship of their own, the villainous Crabs have taken up a life of robbery and intimidation, more bandits than Pirates now. One secret organization of smugglers, Pirates, and criminals controls the transport of Yum and Yum-Yum fruit from MooShu to the rest of the Spiral: the infamous syndicate dominated by the Frogfather. From his home in Gullet, the Frogfather runs a tight operation that controls most of the smuggling in Skull Island, and across the Spiral. Rare spices, Yum, and other contraband are the Frogfather's specialty. 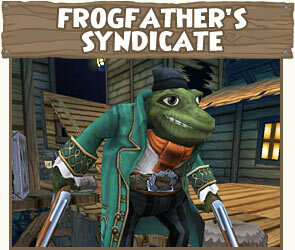 The Frogfather is fiercely loyal to his captains and terrible to his enemies. The Isle of Scrimshaw is home to the Wharf Rats, a loose affiliation of criminal gangs and crews including such infamous villains as the Bilge Rats, the Rats of Nim, and the Rat Pack. Bands of Rat Pirates roam the Skyways, raiding and stealing, but they rarely move in great numbers - the Rats are notoriously disorganized, and more likely to turn on each other than unite against a common foe. Every now and then a gang will make a power play, but for the most part the Wharf Rats remain an annoyance instead of a major threat, and have yet to wield much influence. The Nui: Residents of Rapa Nui, the Nui tribe are peaceful - they trade with everyone, offering rare herbs, fish, and potions in trade for the mystifying trinkets and baubles the big folk bring them from other realms. 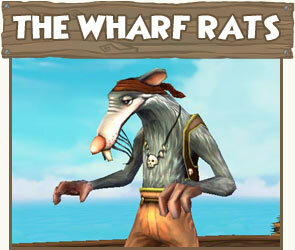 Jovial and friendly, the Nui are well-liked by traders and Pirates alike. 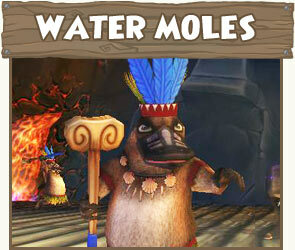 The Waponi: The silver-haired Water Moles who dwell at the foot of the great volcano Waponi Wu have renounced their traditional ways: they worship a fire god instead of their ancestors, and have taken up arms against everyone they see as intruders in their realm - essentially everyone. Their blood feuds with the Nui are ancient and legendary, but their hostility toward everybody else is no less intense.